Today, we want to talk about the long-term effects of the choices we make. In sickness and in health, financial planning is a great assessment of “As-Is and To-Be” financial states. Depending on clients’ appetite for life and adventure, and the trade-offs they choose to make today, financial goals can vary because of their age and whether there are people to provide for (e.g., kids). Paying it forward and planning for the future is like a personalized Plan B that one has got to have, not only because one day a client will retire, but also in case of any “what-ifs” the future might hold. The financial planning journey begins with establishing and defining the client–planner relationship. It starts with the user creating an account and entering their personal details into the system. The user will then be asked to accept terms and conditions and to agree on the scope of work. In cases where there is a financial planner to facilitate the onboarding and to guide the user through the whole process, the system will have a different option to register as an RIA or as a representative of a financial consulting practice. Thus, the financial planner will have to accept a different set of terms and conditions and then add the new client to the system. After the creation of an account, the financial planning system is ready to gather the information and process the inputs. Here, the tool might analyze financial information (actual income and expenditures, assets, and liabilities) that has been uploaded either by the client or his/her financial planner on his/her behalf. There is also the possibility to connect the different bank accounts of a client and any current equity compensations. If a holistic approach is used, the program might also aggregate information from multiple sources (e.g., social network profiles and spending history) in order to have a broader picture of the client’s financial situation. Beyond this, a modern financial planning tool would usually allow the financial planner to use predefined risk-tolerance questionnaires, as well as uploading their own. Halfway through entering the client’s personal details, the planner would input particular goals that the client has (e.g., current and retirement age and the desired retirement expenses). Next comes status analysis and plan creation. At this stage, all of the raw data is processed by the system and is usually visualized to offer a clear picture of the financial state of the client. When the financial plan is generated, the financial planner—along with the client—can play with the numbers and see how certain changes (e.g., retirement age or percentage of today’s spending) affect the client’s future financial state. Using the system’s tools, the financial planner can show the client by how much and how fast his/her stakes would grow depending on his/her risk tolerance. After the analysis is performed and the parties have a draft plan, it is time to execute and put the insights to work. Here, the financial planner suggests ways to multiply or preserve wealth in order to reach the desirable outcomes as per the data processed by the system. Based on the financial consultant’s suggestions, the client can take informed decisions and express his/her likes and/or dislikes to further refine the plan. Monitoring and control are essential. Usually, an individual’s account would have a few tabs to keep an eye on. These could be an overview page containing details on a family’s or an individual’s net worth, investment, and asset allocation; a plans page dedicated to any existing financial plans; a reports page concerned with periodical reporting and status updates; and/or a document storage or vault page where both the client and the financial planner can locate all of the documents that have been uploaded into the system. Regular: These can include car maintenance, financial aid to elderly parents, health insurance, housing, and retirement money that the client wants to have when they are done working. Additionally, travel expenses can come into play if the client’s dream is to tour the globe with his/her spouse. These all constitute the usual category of expenses. Children: This category is related to anything that a client’s offspring might need in the long run. To begin with, for example, parents might plan on buying an apartment for their adult children. Parents might also pay for college, which is not cheap at all and might cost an arm and a leg; if there are some significant savings, it is easier to pay it. Beyond that, when the children find their significant others, immediate family members might splurge on a great wedding gift (e.g., a car, a round-the-world honeymoon trip, or a piece of land). Despite all the vital needs and the enormous amounts of wants and desires, there is a necessity to quickly prioritize and figure out the right strategy to meet the client’s future goals—no matter how challenging those might seem. Luckily, there are plenty of solutions out there to help clients with personal financial planning. There is no need for a family Excel spreadsheet and guesswork. Smart algorithms and certified financial planners are there to take the burden off the client’s shoulders. You might be wondering what the typical features and problems solved by financial planning software are. Usually, modern financial planning solutions represent a single tool that can tap into a number of tasks, such as bill payment, investment tracking, budgeting, and retirement planning. Scenario planning and decision-making tools to account for what-ifs. A personal financial-management portal, with a dashboard that outlines the client’s complete financial planning situation. Today, there are many firms offering financial planners quick access to powerful tools to help them deal with clients and propose myriad opportunities for growing personal wealth. These companies utilize best-in-class technology to juggle the financial needs and long-term aspirations of their customers. Advizr Accelerate, a tool that helps advisors put work on autopilot. Present: collaboration, net worth, live summary, and cash flows. Pricing: Advizr Express software is free; the extended PRO package costs $125 per month; and the price of the offering for larger enterprises varies. Snapshot: Similar to Advizr, inStream Solutions works both with individual advisors and enterprise clients. inStream Solutions can boast of integrations with well-known industry players, such as Ameritrade Institutional, ORION Advisor Services, SS&C, NewLeaf, BlueLeaf, Albridge, and Redtail Technology. Features: Overnight rerunning of all financial plans, proactive alerts, automated portfolio upload and analysis, flagging of exception cases, fully customizable planning outputs, prospecting module, portfolio compare capability, and full modeling of annuities. More than 5 users: price on request. Snapshot: MoneyGuidePro helps build financial security and freedom with its innovative solutions. It has a number of products that help advisors support customers through their financial journey, from the Retirement Compatibility Game for couples to more sophisticated financial planning. MoneyGuidePro helps financial planners better plan for financial freedom for their clients and helps them teach their clients to control debts and begin saving for the future. The company has multiple integrations adding edge to its offerings, such as client portal, vaulting, account aggregators, portfolio analytics, management and performance, investment policy statement, risk tolerance, and a custodian trade platform among the partners. Best Interest Scout: An enterprise DOL solution that is built with flexibility, speed to market, and scalability in mind. Pricing: Starting from $1,295 per year for the solo advisor (as of 2015); prices vary depending on independent or RIA (under 50 users) or Enterprise (50 users and more) licenses. Snapshot: NextCapital offers personalized plans for individuals, portfolio performance tracking tools, savings and retirement start consulting, and investment analytics based on institutional methodology. Enterprise digital advice is a B2B arm of NextCapital that allows advisors to use their in-house methodology or go for a hybrid option of custodian and third-party vendor integrations, as well as 401(k) systems. NextCapital has a large network of trusted partners that include RIAs, retirement-planning experts, institutional asset management, and broker-dealers. Features: Individual targeting for a goal; integration of multiple accounts, pensions, social security, and other sources of income all in one; and gap identification and closure between expected and desired impact of long-term planning. For institutions, unique style guides for a particular brand, digital consulting across multiple business verticals, direct interaction with investors, full access to the platform by advisors, a variety of asset classes to choose from, proprietary model asset allocation, portfolio implementation, and security and portfolio assignments. Pricing: An all-inclusive wrap fee that is paid in arrears at a rate of 25 basis points (0.25%) annually, based on every client’s AUM. Snapshot: Based in Canada, PlanPlus focuses on financial planning and training. The company caters to the needs of the modern independent financial advisor. The PlanPlus Planit software is designed to help advisors reach new heights, whether this is cash flow or goal-based financial planning. PlanPlus has a robo-advisor that comes with perks beyond the traditional notion of digital advice. PlanPlus Planit: Investment policy statement, multiple portfolios, Morningstar data integration, product selection, modular goal-based planning, retirement planning using cash flow-based or multi-life goals, progress review, estate planning, business features, help desk (phone, email, or live chat), Learning Circle (online training sessions), and a virtual training program. miPlanPlus: Projections modeled using graduated tax rates, providing a much higher degree of accuracy than average tax rates; government benefits, private pensions, and inheritance incorporation; on- and off-book assets inclusion; tax-deferred plan management; comprehensive “what-if” modeling; and ongoing results monitoring. Level 3 Professional Financial Planner: $120 per month. Snapshot: Planswell is a Canadian company that knows how to manage money in a smart way. Its core business is about offering easy financial planning to reach long-term goals. Through a set of 40 questions, Planswell designs personalized financial plans and suggests monthly steps to meet retirement objectives, reviewing and updating the initial inputs every six months. Planswell partners with the nation’s largest institutions, such as Scotiabank, First National Financial Corporation, Assumption Life, and MCAP. Features: By optimizing investments, insurance, and borrowing to align these with clients’ goals, Planswell helps citizens invest for retirement and child education, plan income, and manage debts effectively. Pricing: According to a recent company review, Planswell charges no fees for investments under $5,000 during the first 12 months, 0.5% annually for investments that are less than $100,000, and 0.4% annually for investments that are higher than $100,000. Snapshot: Voyant is about smooth collaboration between advisors and clients, and is powered by interactive goal-based planning software. 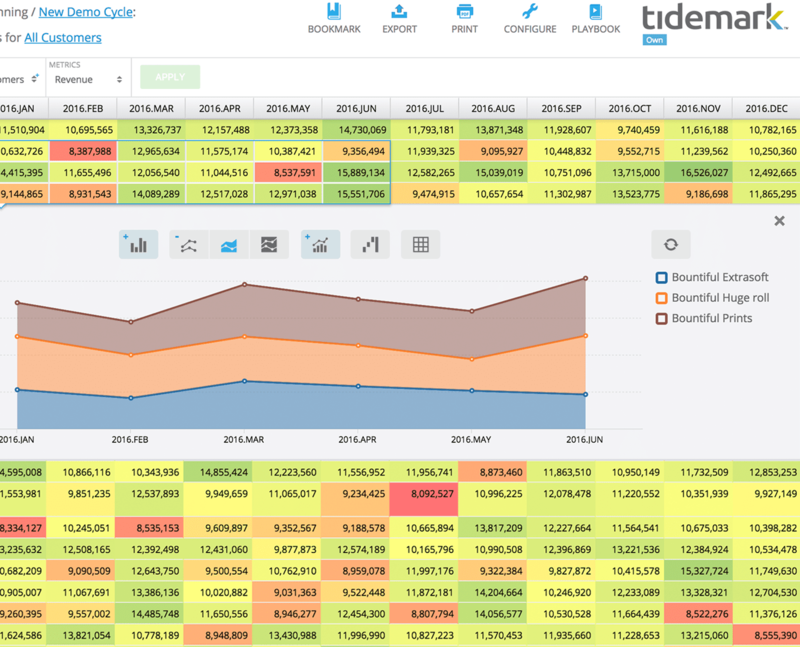 Its intuitive interface helps to create and adjust financial plans; build visual forecasts (including income, assets, and liabilities); account for what-if scenarios; and offer a unique customer experience. Voyant helps leading market players build trust with their customers, which include Aon, Lloyds Bank, St. James’s Place Wealth Management, and AXA Wealth. Voyant Blocks: Another progressive development that allows components to be chosen to scale the practice operations through a sophisticated set of tools that progress with any changes that an enterprise encounters. More than 26 users: prices available upon request. Pricing details for other packages can be found here. Snapshot: Among its impressive portfolio of products, AdvisoryWorld offers “ICE” (Integrated Capital Engine). This web-based tool incorporates various features, including portfolio- and investment-management analysis, proposal generation, financial analysis, and planning software. The latter includes a highly intuitive needs estimator that helps align the portfolio in accordance with retirement, education, and real estate planning. Financial advisors can further elaborate on planning success and identify the likelihood of a client reaching their goals. Features: Financial planning with Monte Carlo simulation within ICE, which includes detailed time-weighted cash flows; the ability to plan based on education, major purchase, and retirement needs; and straight-line and simulated returns projections. Snapshot: Wealthfront’s philosophy relies on passive investing. By offering clients portfolios of low-cost index funds, the company helps boost their returns in the long run by reducing taxes and lowering fees. 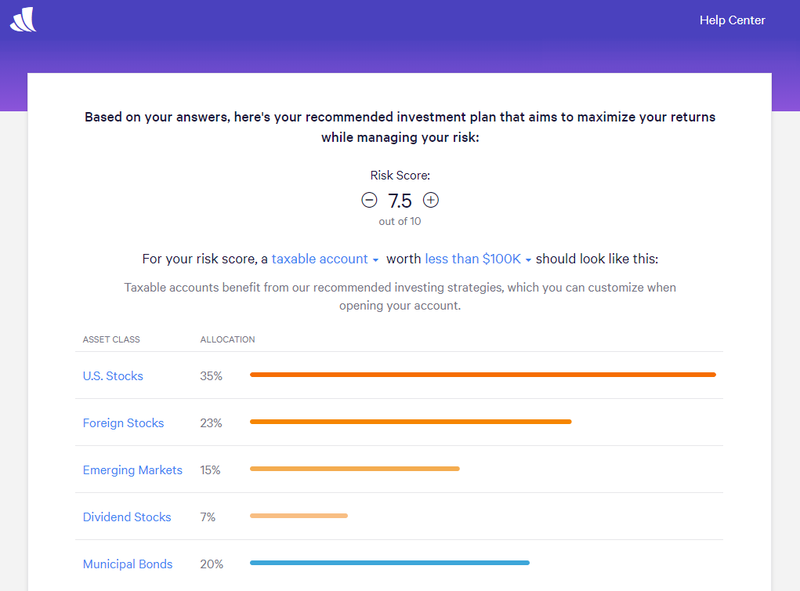 Wealthfront helps clients save for retirement, plan for home and college, easily borrow funds, and manage savings without compromising the future. College planning: Cost projections, financial aid calculations, and necessary savings estimates. Pricing: Annual advisory fee of 0.25% on all AUM, deducted monthly. There are no account-opening fees. Snapshot: Fundamental planning and intelligent business analytics tools are the key offerings of eMoney and form the core of its wealth-planning suite. The eMoney platform is a synthesis of advisor brand marketing, advanced analytics, and smart advisor assurance. eMoney powers a technology solution that is rich in the instruments necessary to support the sustainable goals of any practice. Features: Client portal, account aggregation, integrations, analytics, digital advice platform, unlimited digital document storage, digital lead capture, mobile web app, screen sharing, alerts and alarms, reports, advisor dashboard, award winning customer support, data security, needs analysis, goal planner, advanced planning, interactive cash flow planner, and an interactive estate planner. Multiple user solution for enterprises: price available upon request. Snapshot: Powered by Tidemark, Longview created its flexible platform to allow for the effective planning of finances, workforce, profitability, and operations with its performance analytics tools. Allowing for item-level planning, Longview has dozens of financial metrics with the ability to drill down to a particular business operation for insights. The company uses an elastic infrastructure to guarantee easy scaling in the cloud when a business matures. Features: Dynamic modeling, workflow management, inline analytics, and scalable architecture. Snapshot: Being a strategic partner for leading advisory firms globally, IRESS enables advisors to deal with mass-market clients and HNWI with ease. Depending on the client segment, IRESS has traditional and robo-advisory solutions to meet the needs of a variety of customers. Features: IRESS’ financial planning products portfolio includes advice, CRM, portfolio management, practice management, private wealth management, risk management, services and support, and XPLAN consulting components. Pricing: No pricing information available. Snapshot: Financial Engines (FE) works with large US-based companies and offers retirement planning for employees. Based on the particular goals and aspirations of the client, FE reviews their current investments and offers investment advice that is tailored to the needs of the employees. Features: Investment advice and retirement planning by FE include assistance with budget planning, employer-sponsored retirement plans, life insurance, education and college planning, estate planning, tax optimization, healthcare, LTC, social security optimization, and retirement distribution. Pricing: Between 0.20% and 0.60% of the value of the retirement portfolio. Risk sustainability: portfolio analysis and risk profiling. Advice Engine: An algorithm-driven tool that works behind robo-advisory solutions. The landscape of financial planning software is vast. Emerging players are trying to capitalize on the evolving needs of a range of clients (e.g., baby boomers). Significant effort has been put into next-generation programs that offer detailed cash flow forecasts, goal-based financial planning, and 360° view portals, so that the clients and their advisors can assess the financial health of accounts.